Bull Durham Casino © all rights reserved. 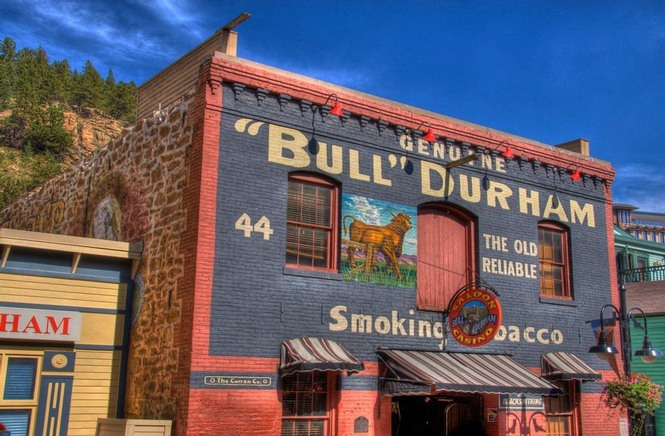 The Bull Durham Casino received its name following the painting of the exterior advertisement in 1912. It has been designated a Colorado landmark and in it*s time has been many establishments. In the 1880*s it was originally used as a wagon works and later was used as a livery stable and blacksmith shop. In later years the building was restored and used as an art studio and store. The Bull Durham Casino began its business in February of 1993 and has been expanding and flourishing since.